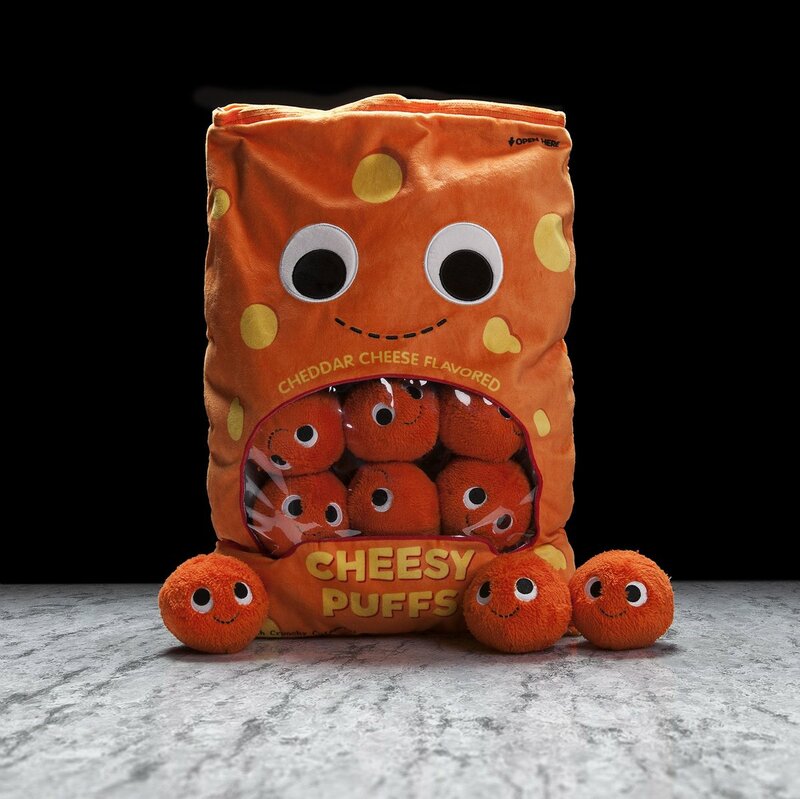 This bag of cheesy puffs is so adorable that I actually want to eat them. 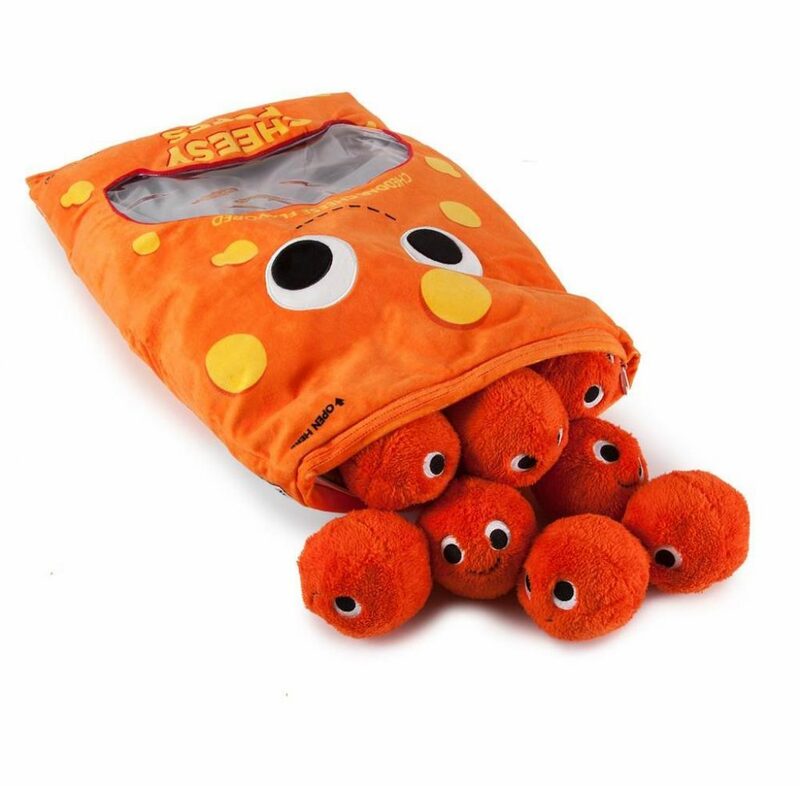 Part of Kid Robot’s Yummy World collection this bag features 24 cute cheesy puff plushies. You can’t digest these cheesy puffs but they do have the same crunchy sensation when you squeeze or bite in them, just like the real thing. Good thing your fingers will not get dirty with these cheesy puffs! 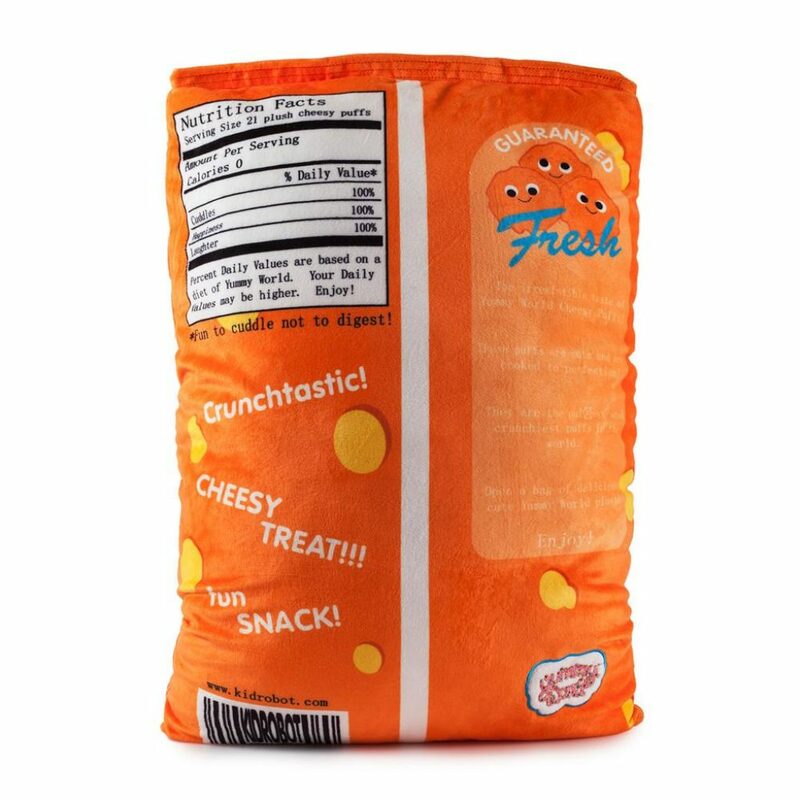 Where can I get the Yummy World Cheesy Puffs bag? 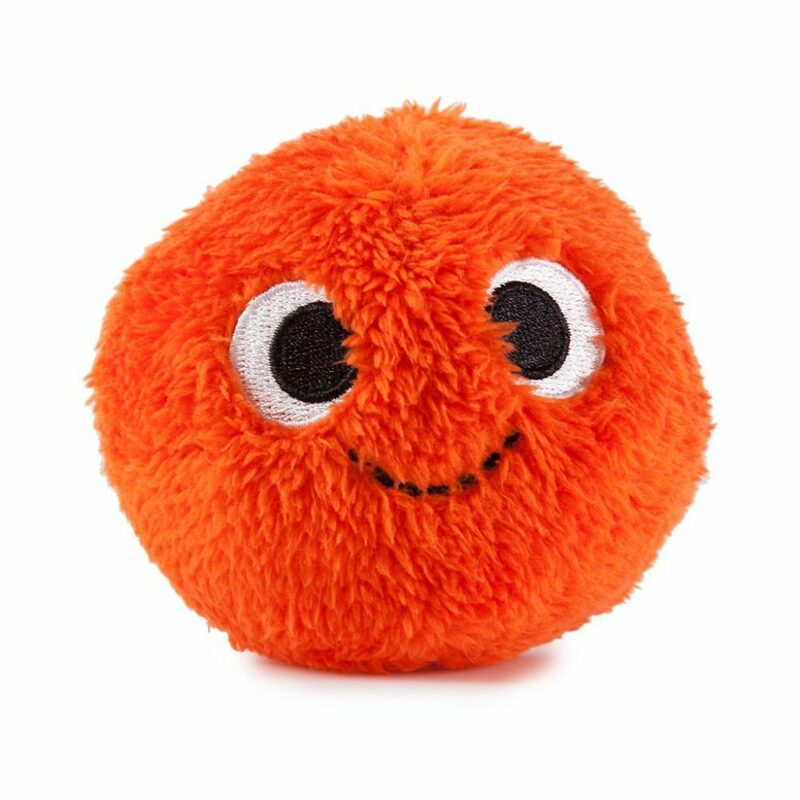 Be sure to check out the entire Yummy World collection by Kid Robot as there are way more cute, cuddly snacks available from their website.